There's a more sophisticated version here: http://www.lathes.co.uk/rolls-royce/ , with a description beneath the close-up photo halfway down the page. I'm not sure it was intended to be used as a QCTP. To do that, the whole assembly would have to be removed from the T slot and replaced with another complete assembly. It would be a lot of work to make a set. I'm not sure the flange at the foot of the post was worth the swarf involved, though. If you're fitting it to a top/compound slide with a T slot then the flange is necessary or the jacking screw will fall into the T slot at some angles. There isn't any need for it to be attached to the post - a thick washer is all that's needed. Good point, Russell. Minilathes (and some other small Chinese hobby lathes like mine) don't have Tee slots so no flange is really needed for those. If you do have Tee slots, an attached flange might have a slight advantage over a loose washer, because there would be no chance of any chips getting underneath it. I don't quite see how that would work. Where would you put the bolt to clamp it to the round post? I have some similar tool holders and I can make them so you can flip them over to use either end of a boring bar. I've also made some cut at an angle so I have more clearance for the tailstock. Here, Russell. One small design change and you double your number of holders. 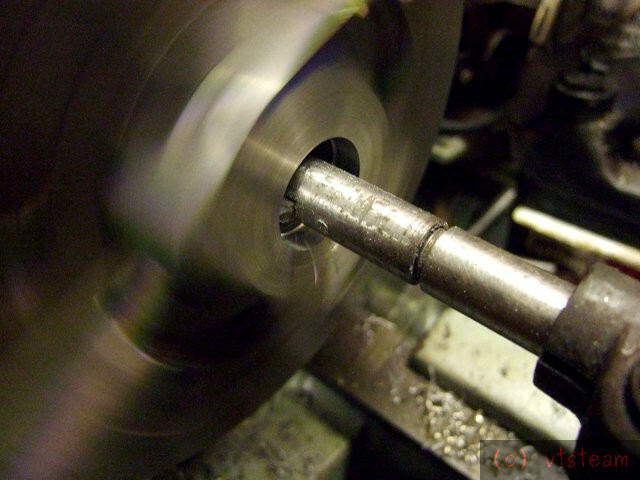 AndyF -- great to see a Rolls Royce lathe! Now that would be something to brag about in the workshop. 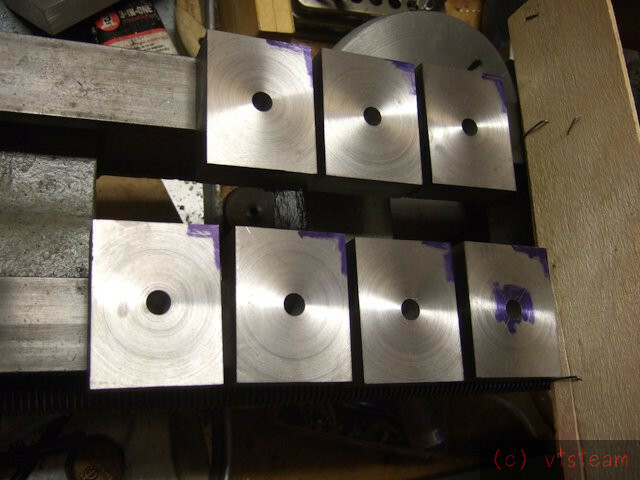 I realize that I had seen the wedging toolpost on the mikesworkshop site and was very impressed. It's very tempting to do that now, since I could simply make a new toolpost -- or maybe even modify the present one. But I hesitate to do that because I do wonder if slitting the post reduces the overall toolpost stiffness. I think I wouldn't trade convenience for stiffness in this type of post -- it is already of smaller cross section than the commercial square dovetailed QC posts, like the ones that inspired this thread. This brings up the point I'd like to make in general that though the post design I'm using is easy to fabricate, it is not the equivalent of a toolpost like Daveo has. It is going to be somewhat less stiff because the cross section is smaller, it is less massive, and it is not as quick to change (QC) since it requires a wrench, and commercial models have a built in lever and cam action. I sure can't change out a tool as fast as Doubleboost can in his videos. However, this design is much better than the standard lantern style toolpost which came with my lathe, so I'm very happy with it. And it's nice to have something I made myself on the machine within my machining capabilities to produce. I'm not quite up to the precision fit dovetail level yet. 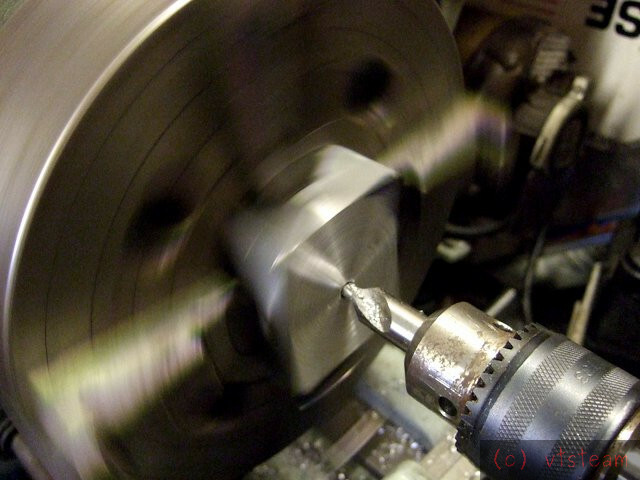 I like the wedging toolpost a lot, very tempted by that, since it allows multiple tools and is very quick change. On the other hand, now that I'm making a bunch of holders, the need to have a lot of lathe tools in a single holder seems less imperative. And another advantage to simplicity I can think of -- there's less to get cut on if there aren't tools sticking out in odd directions. Thanks Pete, I understand now. RussellT-- I hadn't seen the disk before, but like it a lot. Yes on mine there are positions that the jacking screw misses -- although they are rare, and I can overcome that by adjusting the compound rest to different angle if need be. But I certainly will incorporate the disk now that I see it. One thought, however--, I think there would be a great advantage in fixing it to the post solidly -- it would increase the bearing area and stiffness of the post. In fact I'm tempted to braze them together. 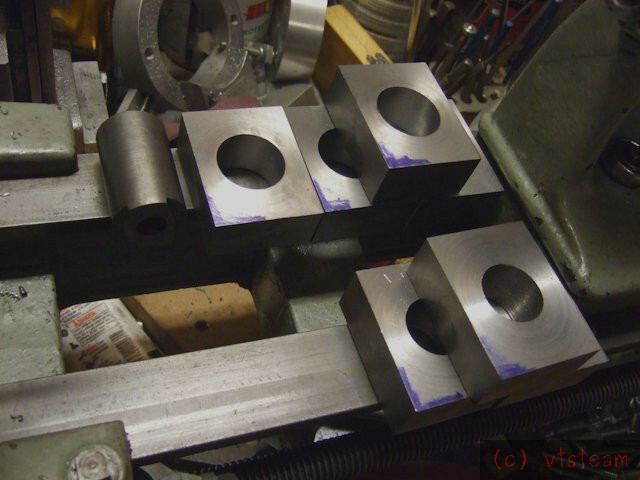 Having once broken a tool holder truing crankshaft journals in flat bar stock with a cutoff tool, and suffering the effects of chatter on the journal finish, I will mod anything to help improve stiffness and strength at the toolpost. 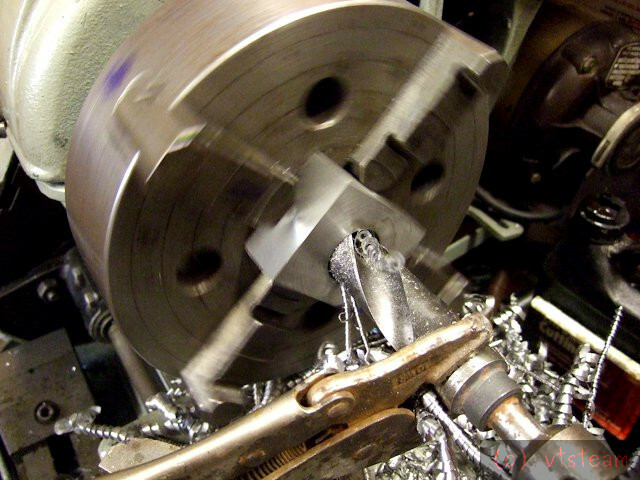 Tubal Caine (the British version) once designed something he called the Gibraltar toolpost for crankshaft turning. It was a solid mass of cast iron set on the Myford table -- I'd like to make one for myself some day. Pete, Nice dwg! I had contemplated putting the tool slot at the side of the toolholder, as you show. Unfortunately, the Mason design is too narrow to do that -- the slots are too near the post bore. Since I've already cut mine out of stock on hand, I can't do it. But if someone else starts afresh and wants to, I'd recommend making the tool holders 2-1/2" square on top instead of 2" x 2-1/2", as shown by Mason. 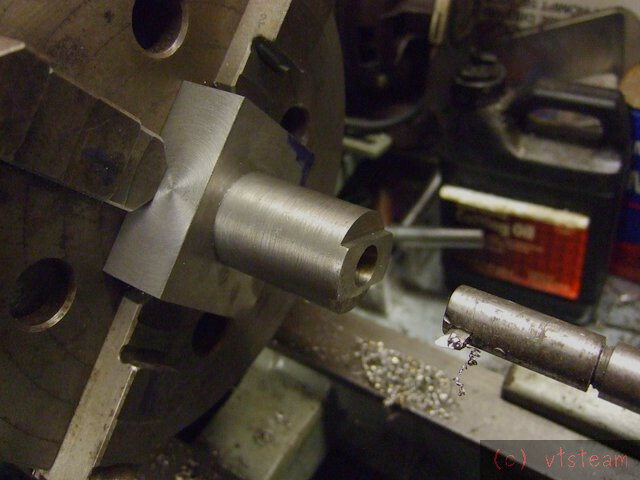 Weld a bit of rod end to one side of a tool holder blank. Then turn that to a JT-33 taper. But then you can't use it for anything else. How about instead of milling a slot, drill the toolholder and cut a slot and add bolts so you can clamp round bars. Then turn a JT33 taper on a bit of round stock. Here's a picture showing some toolholders. I liked the links to the Rolls and other designs but I guess the thing I like about the original post is that without a top handle it does allow a quick change. I had also wondered about the flange because I have the T slot on mine too. The idea of two holders in a 2.5" square makes a lot of sense to me. Russell: nice collection of tool holders. Looks like a SERIOUS wrench to go with it. How about making one of the tool holders to take a tangential cutter instead of a tangential holder mounted in a QCTP holder? Just an idea. RussellT, Nice!! I was planning on boring bar and cutoff tool "specials." And I particularly like the wrench. re. welded on JT-33 stud (for a Jacobs chuck). I don't want to use that one for anything else. That's what makes it "Quick Change!" Looks like a SERIOUS wrench to go with it. And I particularly like the wrench. The wrench was a bit of an afterthought. I wanted to try it so I tightened it up using a couple of short tommy bars - but it moved. I suppose I could have fastened the flange/washer to the post and keyed the washer so it wouldn't rotate in the T slot. Instead I just did it up tight. 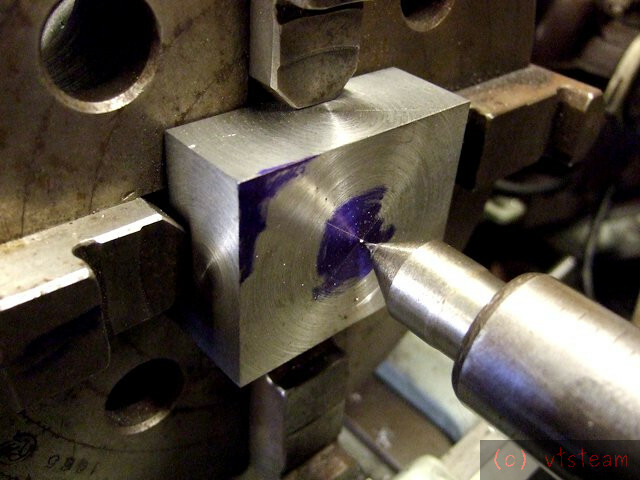 I finally gave up on a good finish with the carbide, since even it was eroding from the mill scale. I finally just used it to scrape off the scale, ignored the deep grooves it was making, and decided to give all the blocks a final dressing with an HSS tool bit. That went better. What a bunch of abrasive crud! Next time the scale is removed first before any machining -- thanks for the tip PhilF -- I'll look for brick cleaner. I think muriatic acid is available as such also in our local hardware store. After the blocks were cleaned up, I placed one in the 4 jaw to center it. I marked all the blocks on one corner as a reference when placing them in the chuck. I opened only jaws 1 and 4, and the marked corner of the blocks all went against jaws 2 and 3. 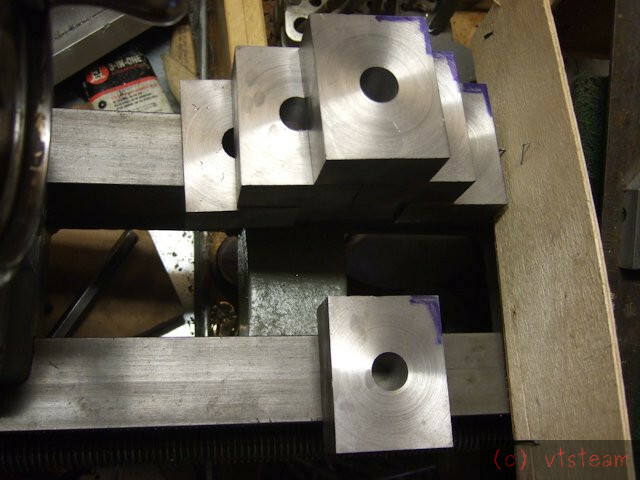 The first block was centered in relation to the tailstock center, and then I replaced the center with a Jacobs chuck to start drilling for the post hole. Drilling the pilot hole. 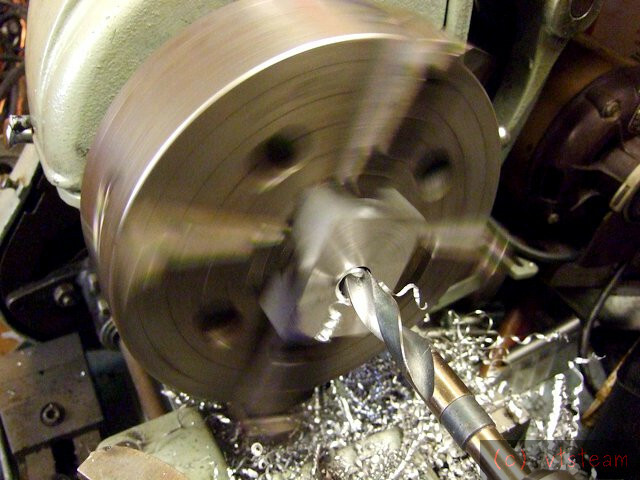 All pieces were drilled at each step before changing the drill bit to a larger size. The finish size of the hole was to be 1.25". Keeping corners always aligned helps me remember. I really don't want to move the wrong chuck jaws or insert the blocks wrong way round. Last drilling operation. The largest drill I had was an odball 1-1/32". don't know where I picked that one up from! I clamped it with vice grips to keep it from turning -- they rest on the top slide (out of view). The blue marks on the chuck are at Jaws 1 and 4. After that was done it was time to switch to the boring bar. I took pretty healthy cuts because I was getting, well.....bored. Looking good, I use a texta to mark multiple things up as well. Checking the bore fit with my tool post. I put a positioning cut on the bottom of my post to fit the Atlas tee slot. Supper time again. Top four blocks have been bored. Bottom three just drilled. Starting to look like tool holders. Nice progress. Like the bit that fits in the slot of the cross slide.